RE plays a central and vital part in the life of a Catholic school. It includes learning about scripture and sacraments and throughout their school career, children share experiences of reflection and prayer. We have daily worship and prayers either as a whole school or class/year group/key stage. These include whole school assemblies and hymn practices. The scheme of work we use here at St Mary’s is: "The Way, the Truth and the Life" series for Catholic schools, published by the Catholic Truth Society. The Syllabus, Pupil's and Teacher's Books which make up the series, are based on the Religious Education Curriculum Directory for Catholic Schools published by the Bishops' Conference in 1996, and as such fulfil the requirements of the Bishops' Conference for Religious Education in Catholic Schools. It is a scripture-based scheme, which develops through the different year groups. It has a very clear, thorough and thoughtful approach to the growing Catholic and non-Catholic child. There are detailed points for discussion, additional activities and a variety of supporting resources. The scheme is constantly being updated and new materials being added. St Anselm's Catholic School in Canterbury teaches the series into Key Stages 3 and 4. Links with our parish are strong and we are fortunate that we share a site with the church of Our Lady Immaculate and a close relationship with our parish priest Fr Kevin St Aubyn. Recently established, our Faith Team, made up of governors, parishioners, teachers and the Head Teacher, aims to make more Parish-School links and set up a ‘drop-in’ tea session to help parents and families. We hope this team will lead to exciting spiritual developments for our parents and parish. Classes are able to visit the Church for quiet devotion and Penitential Services. Masses in church are held regularly for the whole school, each term, on Holy Days of Obligation and to celebrate special occasions. We also encourage the children to become altar servers which is a highly respected role with great responsibilities. In Year 3 the Catholic children are given the opportunity to attend the Holy Communion Course led by the Catechist Team, of which many of our parents are members. This leads to a wonderful celebration at the end of the course when the children make their First Holy Communion. St Anselm’s in Canterbury is our local catholic secondary school, and we have strong links here as many of our children move on to attend school there. Every summer, our Year 5 students attend a Spiritual Day which involves mass, activities and a picnic. This is always a big success! We also link up with other churches when attending Remembrance Day services (Y6), and at Picnic and Praise at Aylesford Priory. Visiting Aylesford for this service is a very important day for the school, where the Y6 take an active role in the service attended by lots of schools from the Southwark Diocese. The Bishop attends as well as many other clergy including the monks from the Priory. This helps the children to understand that they are part of a bigger church and spiritual community. 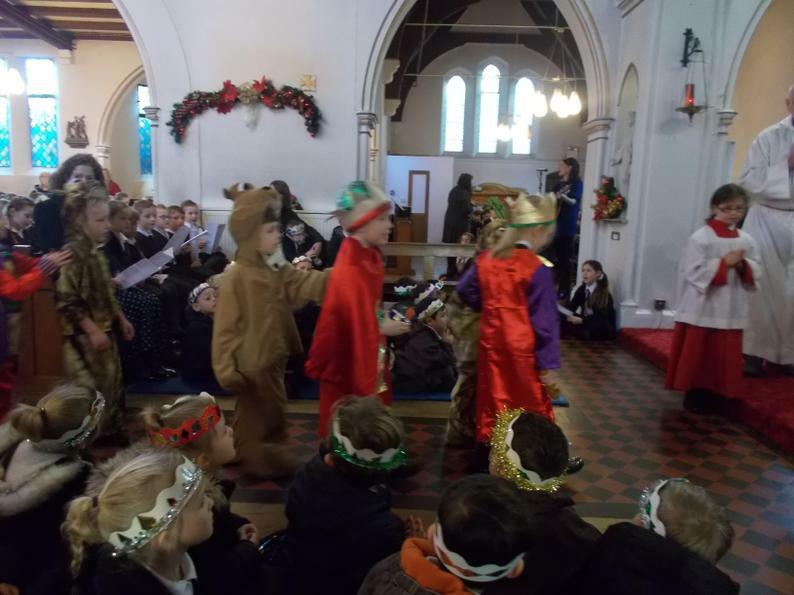 Throughout their time at St Mary's, children are encouraged to be involved in many different charitable events. These raise their awareness of being a Christian on many levels. We have supported many national and local appeals and charities, and have a thriving Mini-Vinnie groups linked to the local SVP. We aim to teach children to become good Christians through the Catholic Faith and to help lay the foundations for their next phase of education.